Kate Gregory is a C++ expert who has been using C++ since before Microsoft had a C++ compiler, an early adopter of many software technologies and tools, and a well-connected member of the software development community. She has over three decades of software development experience in a variety of programming languages including Fortran, PL/I, C++, Java, Visual Basic, and C#. Her recent programming work is almost exclusively in native C++ and C#, on a variety of projects, for both Enterprise and ISV clients. Since January 2002 she has been Microsoft Regional Director for Toronto and since January 2004 she has been awarded the Microsoft Most Valuable Professional designation for Visual C++. In June 2005 she won the Regional Director of the year award, and she was one of the C++ MVPs of the year for 2010. She maintains strong relationships with the C++, Visual Studio, and Windows teams in Redmond. 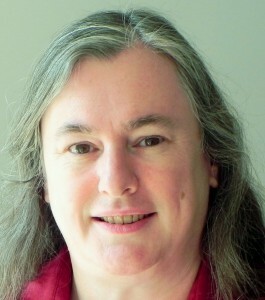 Kate is the author of over a dozen books, mostly on C++ programming: the latest, on massively parallel programming with C++ AMP, was published in fall 2012 by Microsoft Press. She teaches .NET, Visual Studio, and C++ (including online courses for Pluralsight) and is in demand as an expert speaker, with numerous cross-Canada tours for Microsoft Canada, and sessions at DevDays, DevTeach, TechEd (USA, Europe, Africa) and DevIntersection, among others. Kate is the founder of the East of Toronto .NET Users group and a member of adjunct faculty at Trent University in Peterborough. Her firm, Gregory Consulting Limited, is based in rural Ontario and helps clients adopt new technologies and adjust to the changing business environment. Current work makes heavy use of .NET and Visual C++ for both web and client development, especially for Windows 7 and 8. Managing, mentoring, technical writing, and technical speaking occupy much of her time, but she still writes code every week.